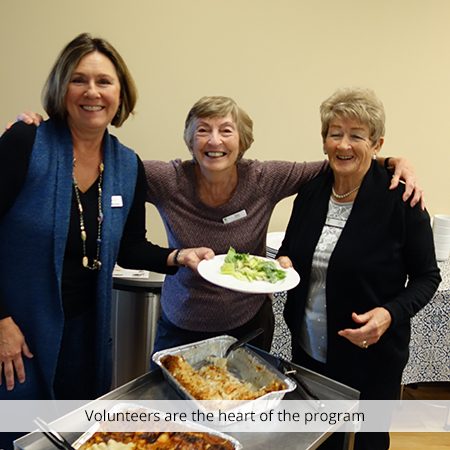 This dynamic year-round drop-in group provides support to adults and their caregivers who are facing the challenges of living well with advanced cancer. If you are interested in meeting and sharing with others who have similar concerns, this may be the group for you! We help our clients live fully in the present, while navigating the many transitions of life in our Living With Cancer Program. 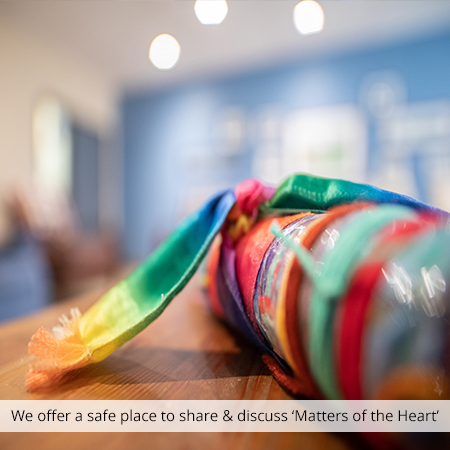 Through our discussions around ‘Matters of the Heart’, medical and spiritual inquiries, you will have the opportunity to gain coping skills that may support you and your caregivers. We will offer you a safe place to share. 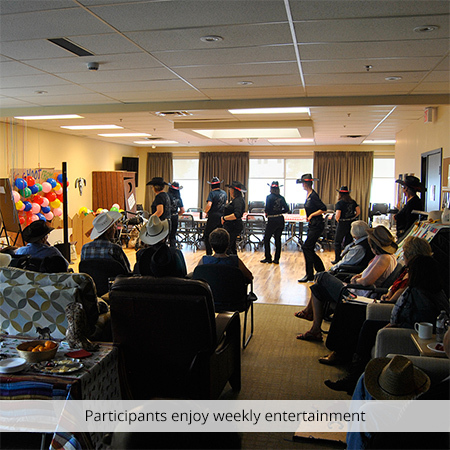 We also generate a lot of laughter through our entertainment. Each week a portion of the itinerary is dedicated to welcoming special guests who are musicians, artists, or speakers who are specialists in their fields. Throughout the year, the group celebrates one another through sharing of personal milestones and holidays, making memories along the way. Caregivers are encouraged to attend and many have found invaluable support through their connections with other caregivers. Some may find it easier to talk with their family and friends about their experience and their illness when someone attends with them. On the other hand, you may want to come on your own or bring a friend! 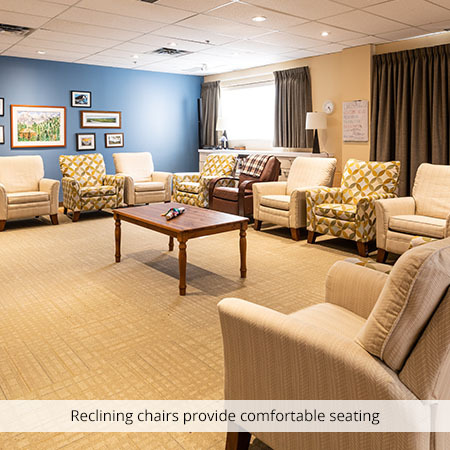 Nourishing snacks and a home-style lunch are provided; special dietary needs are accommodated. 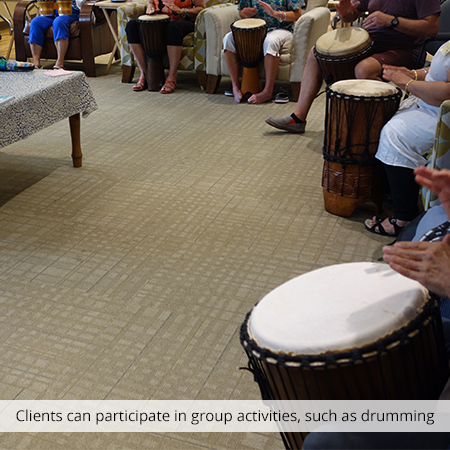 Complementary therapies are offered during program times by licensed volunteer practitioners at no charge to participants and their caregivers. These include Massage, Reiki, and Reflexology. Professional counselling support for yourself and/or your family (including children and teens) on-site or in your home. Ongoing telephone support for you and your family during your illness whether you are able to continue to attend the program or not. 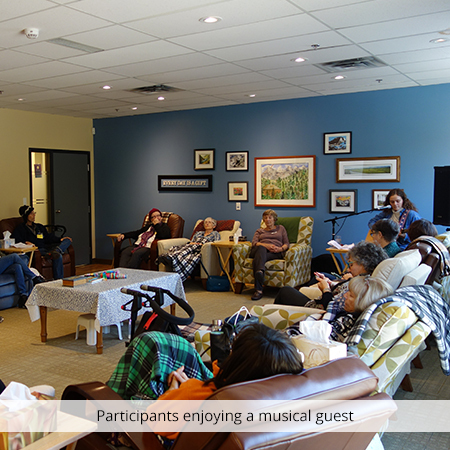 Consultation with Hospice Calgary’s Medical Director and Spiritual Care Coordinator during scheduled program time. Information will be provided to you about other community services depending on your needs. With your permission and where necessary, our staff are in communication with your Community Care Coordinator (Alberta Health Services Home Care) to provide a seamless approach to your community support. All special requirements and needs are discussed during the intake session with the program coordinator. Living With Cancer Program is held every Wednesday at Sage Centre from 10am – 2pm and there is no fee to attend the group. Sage Centre is wheelchair accessible. We have gathered the following resources for you. Visit our Resources page for more.